I made my made my first Soap from scratch with a kit 15 years ago and was hooked from that first batch. This process captures the Artist and the Scientist and combines both in the wonderful world of soapmaking. If you love scents and colors and being crafty have we got the class for you. Come and play and get hooked! Come and learn to make Cold Process Soap from scratch. Each class combines a demo and thorough directions so each student will make their own 2lb batch of soap that they have scented and colored. Each class runs from 10 AM to about 3PM with a break for lunch in the middle. We will review various soap ingredients including oils and butters for great soap, natural colorants and additives, essential oils for scenting and most importantly lye safety. We will also go over making your own recipes. Each student will receive a pack of handouts with recipes, ingredients, soapmaking instructions and resources for soap supplies. Fee includes class, handouts and supplies. Please call 336-403-1662 with any questions. Please inquire if dates below do not meet your needs. If you can gather 2 more friends we may schedule a separate class. 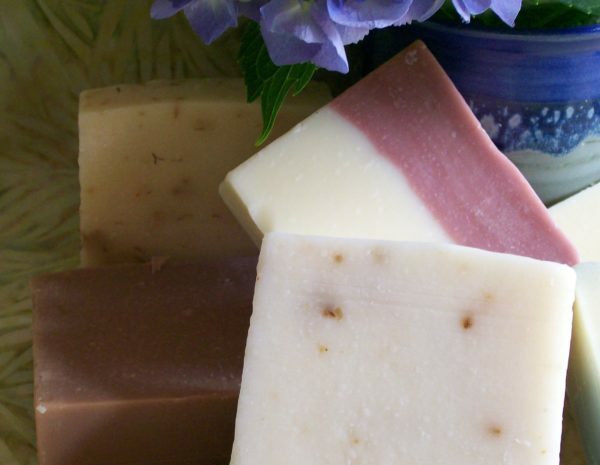 Marilyn Schendel is an Advanced Certified Soapmaker with the Handcrafted Soap and Cosmetic Guild. She has been making soap and bath products since 1999 and has been teaching cold process soapmaking since 2010. Again if dates below do not meet your needs, you can gather one or two more friends and we can maybe schedule another time. I became interested in Soap making earlier this year. I watched ALOT of youtube videos but did not feel comfortable stepping out on my own. I researched a lot of classes and this one fit my needs to a T! If you are looking for a class to teach the basics of Soapmaking this is it. I left with a loaf of soap and the skills needed to make my own. My next two batches of home made soap came from a kit that I ordered from Essential Depot. The skills I learned in this class helped me become confident and I found the soap very easy to make. In only a few months, I am creating my own recipes. I would highly recommend this class.